Kalpana brings more than 20 years of corporate experience across Human Resources, Marketing, Business Development, Operations and Customer Management. She has a Masters in Social Work from Madras School of Social Work and an MBA from British Open University. Since 2013, Kalpana worked as Principal, Toyota Technical Training Institute – A corporate social responsibility initiative of Toyota Kirloskar Motors Ltd. Prior to this assignment, she was a senior member of Human Resources Planning for about three years. Kalpana was previously Head-Human Resources at Tafe Motors and Tractors Ltd., handling all HR related responsibilities for a workforce of 2000+ across the manufacturing locations and more than 10 sales offices. She has also experienced being part of a start-up as a founding member of Quorum Consulting Private Ltd – from 1996 to 2008, and was involved in every aspect of the business. Her launch pad was Welcomegroup ITC. From there, Kalpana moved on to handling an outsourced recruitment project from HCL and made an entry into the consulting field with ACB Consultants Private Ltd., picking up the Best Consultant award for two consecutive years. She is a sports enthusiast who loves watching cricket and tennis matches, having played both in the past. 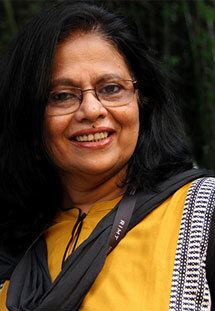 Kalpana is also a music lover, having learnt the Veenai for more than two decades. Currently she is an avid bridge player and passionate about the game.